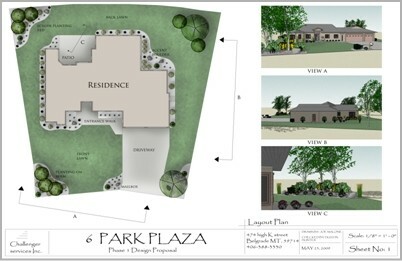 A landscape plan provides the direction for an attractive and functional landscape. The process begins by meeting with you to discuss your project. We go over ideas and make suggestions, discuss the functions and needs of your landscape, share our work experience, evaluate the site for any special challenges, and talk about costs and budgets. The prepared plan incorporates the combined ideas, tastes, and considerations of you and us. We welcome the opportunity to work with you to make your outdoor environment an enjoyable experience.